Questa is a pioneer in integrating comprehensive resource-based hydraulic, hydrologic, geomorphic, geological, and geotechnical evaluations to develop creative and sustaining solutions. 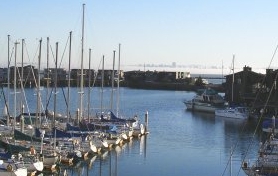 Based in Point Richmond, with field offices in Petaluma and Berkeley, Questa was founded as a California corporation in 1983. We offer complete engineering design, landscape architecture, environmental review, and planning services to clients in water resource management, multi-use pathway and streetscape design, waterway management and restoration, habitat enhancement, stormwater management, water and wastewater treatment, public works, resource conservation, public access, geotechnical stability, groundwater studies, and toxic/hazardous materials investigation and remediation. Questa’s staff includes professionals registered in civil engineering, engineering geology, landscape architecture, and erosion control, as well as hydrologists, geomorphologists, planners, environmental scientists, soil scientists, and technical specialists with diverse project experience throughout California and the western United States. In addition to strong academic credentials, our staff has many years of engineering, design, and applied environmental planning experience. This expertise and personal commitment allow us to respond effectively and rapidly to the increasingly complex technical and regulatory problems faced by our clients. Specialty subcontractors, including structural and geotechnical engineers, ecologists, and biologists, supplement our staff as needed. We also offer services as a General Engineering Contractor (California License Number 948253). Please click here for current employment opportunities. We offer services throughout all phases of our projects, from master plans, preliminary engineering and environmental investigations, feasibility studies and constraints analyses, concept plan development, CEQA/NEPA environmental analysis, and permitting, through final Plans, Specifications and Cost Estimates (PS&Es), bid assistance, and construction management. As a small company, our senior staff maintains a high degree of involvement and management control over individual projects and values a close client-consultant relationship. 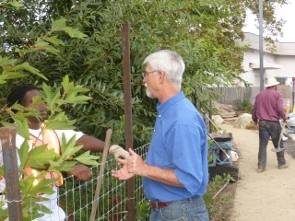 We strongly subscribe to an interdisciplinary approach in planning solutions to complex environmental and engineering problems, working collaboratively with all parties to identify issues, opportunities, and constraints, explore alternatives, achieve consensus, and develop solutions that function well for our clients, provide habitat value, and benefit the community.